Whether it's rosé, rosado (Spain), rosato (Italy) or "blush" - these terms all refer to pink wine. This pink shade can range from a soft, subtle hue to a vibrant, hot pink, depending on the grape used and how long the grape skins were in contact with the juice. Rosés can be made in a sweet, off-dry or bone dry style, with most European rosés being decidedly dry. How Does a Rosé get its Color? The majority of rosé wines are made from a red grape varietal. The varietals most often used in making a rosé wine include Pinot Noir, Syrah, Grenache, Merlot, Malbec, Cabernet Sauvignon, Tempranillo, Sangiovese and Zinfandel. These varietals may be either used solo or in a blend. Rosé varietals are often country dependent, so a rosado from Spain will often be largely derived from the Tempranillo and Garnacha grapes, while Italy may utilize more Sangiovese for their rosatos and the U.S. would tend to lean towards Cab, Merlot, and Zinfandel. Traditionally, the skins of a red grape are allowed to have brief contact with the grape juice. The shorter the contact time with the skins, the lighter the wine's color will be. Extended time with juice and skins yields some amazing, eye-catching color variations from vibrant orangey-pink to nothing less than a vivid hot pink. Sparkling rosés are traditionally made with a blend of red and white grapes, while this practice is usually limited to the sparkling category, it has popped up in production practices for some still rosé wines. The flavors of rosé wines tends to be more subtle versions of their red wine varietal counterparts. The fruit expectations lean towards strawberry, cherry, and raspberry with some citrus and watermelon presenting on a regular basis. Rose wine can run the gamut from ultra dry to fairly fruity depending on the region and producer. Prefer dry and food-friendly? Then scout for roses from southern France, Spain or Italy. Rosés are perfect for spring and summer, as they are served chilled and can be a refreshing accompaniment to a variety of warm weather fare. Rosé wines also top the charts for food-friendly versatility. So, if you are opting for "surf 'n turf" rest assured that a rosé can handle both the seafood and the steak in one fell sip. It's also a great picnic wine, as it tends to have both a lighter body and more delicate flavors on the palate, presenting a great wine partner for a ham, chicken or roast beef sandwich, along with a fruit, potato or egg salad and can even handle a variety of chips and dips. Rosés are also the perfect guest for a backyard barbecue, tackling hamburgers, hot dogs and even French fries and ketchup with ease. While rosé wines may have experienced the shaft for a decade or so when the wine market was flooded with "White Zin" look-alikes, many consumers are helping to break rosés out of the sweet, "wine cooler" mold and are embracing the broad stylistic offerings that are on the rosé market from all over the world. Wine lovers and wine makers are both the better for it! 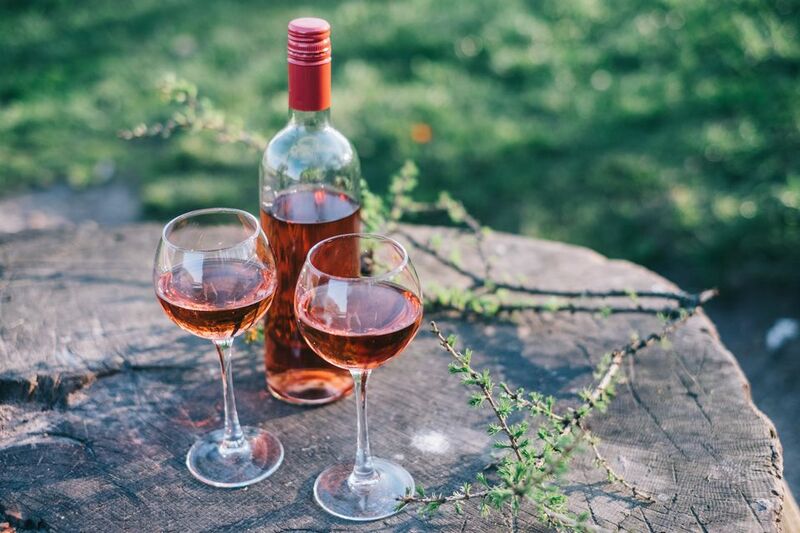 Rose wine sales are on the rise as savvy wine lovers have discovered that many of these pink wines are not the sugary sweet wines of old, but rather sophisticated summer sisters of many red wine varietals. To offer even more incentive to "drink pink" the vast majority of rosé wines offer good value for the money.